El Gran ‘Don Donn’ | Marbella Marbella – Adelante! It would be a pleasant surprise if the name Don Pohren meant anything to the readers of this gastronomic supplement, but I am not optimistic. Pohren (USA 1929) arrived in Spain when he was 24, and his only ambition was to hear – and if possible participate in – as much flamenco as possible. When his limited savings ran out he found a job at the American air base at Morón de la Frontera (Sevilla), and before long he realised he had hit the bull’s eye. By chance he found himself in the cradle of Andalucian flamenco. He soon became acquainted with the great guitarist, Diego del Gastor, among many other flamenco characters in the village, and from this point on Pohren’s life was a non-stop feast of flamenco and its literature until his death in Madrid in 2007. His widow, the Spanish dancer Luisa Maravilla, still lives in Madrid. 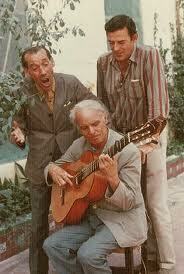 Pohren was the first writer in history to communicate the mysteries of flamenco to an English-speaking audience. His first book was The Art of Flamenco (1962), followed by Lives and Legends of Flamenco (1964), both best sellers in the Anglo-Saxon world, as indeed were all the subsequent books he wrote on this and other subjects. I am fortunate enough to have them all, collected over many years. 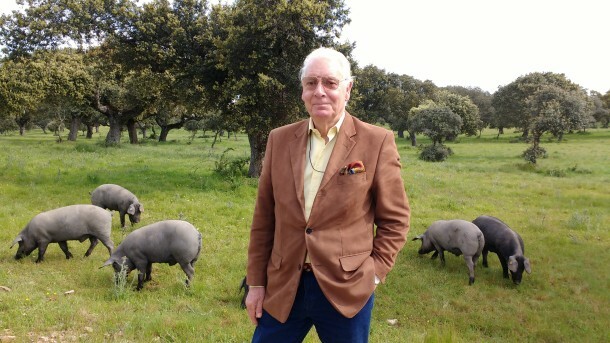 He branched out in 1972 with a book on Spanish popular food, Adventures in Taste: The Wines and Folk Food of Spain. It is said that flamencos don’t eat, but Pohren – or Don Donn as he is still referred to – enjoyed eating as much as he did drinking, and it was his love of wine that bonded him with Diego del Gastor during the marathon flamenco sessions that would last for days and nights on end. 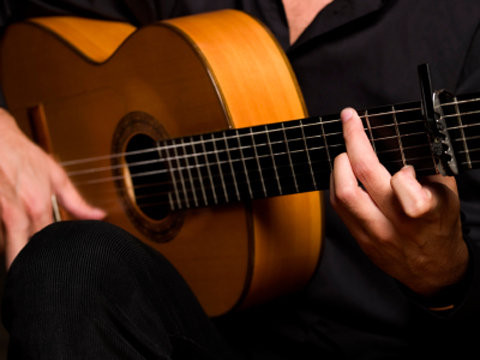 In order to support his way of life and bring some much-needed money into the village, Pohren set up a flamenco academy in Morón, which in a very short time became the obligatory stopping-off place for all American flamenco enthusiasts visiting Spain. Most of these kids were not short of money and the academy supported Pohren and the flamenco community for two decades (although he later admitted it eventually changed the character of the pueblo for the worst). To increase what was on offer for foreign visitors Pohren started a programme of gastronomic tours throughout Spain which became very popular. The Málaga tour included, among many features and locations, ‘the only two restaurants where fresh fish is available’, Antonio Martín (now a Dani Garcia La Moraga gastrobar), and the Bella Mare Restaurant in Rincón de la Victoria (long since vanished). Next stop on the schedule was Cómpeta, with the excuse of trying the local wine and eating baby goat with almonds at the Pensión La Sevillana. The route continued through Algarrobo and Sayalonga to a village famous for its ’almost dry’ white wine, Archez. This wine of 16º was only bettered by another of 18º in the next village (‘not on any map’) of Corumbela. And all this was only forty years ago.